In the new e-flux issue #62 you will also find an interview Paul Feigelfeld conducted with me: “Media Archaeology Out of Nature“. It focuses primarily on the themes of media theory, ecology and interfaces also with the work we do with the emerging Consortium (with WSA, University of California San Diego and Parsons School of Design, New School); synthetic intelligence, the planetary media condition, remote sensing, etc. With a focus on the “media ecology”-trilogy of Digital Contagions, Insect Media, and the forthcoming A Geology of Media, the interview maps topics related to the ecopolitics of technological culture. A warm thanks to Paul for the interview and supporting my aspirations to be a digital thought deserter. “Media theory would become boring if it were merely about the digital or other preset determinations. There are too many “digital thought leaders” already. We need digital thought deserters, to poach an idea from Blixa Bargeld. In an interview, the Einstürzende Neubauten frontman voiced his preference for a different military term than “avant-garde” for his artistic activity: that of the deserter. He identifies not with the leader but rather with the partisan, “somebody in the woods who does something else and storms on the army at the moment they did not expect it.”7 Evacuate yourself from the obvious, by conceptual or historical means. Refuse prefabricated discussions, determinations into analogue or digital. Leave for the woods. Besides that longer e-flux text, two other short texts appeared the same day: a general audience text on media and the Anthropocene in Conversation and also a mini-interview conducted by the Finnish Institute in London as part of their Made By-series. 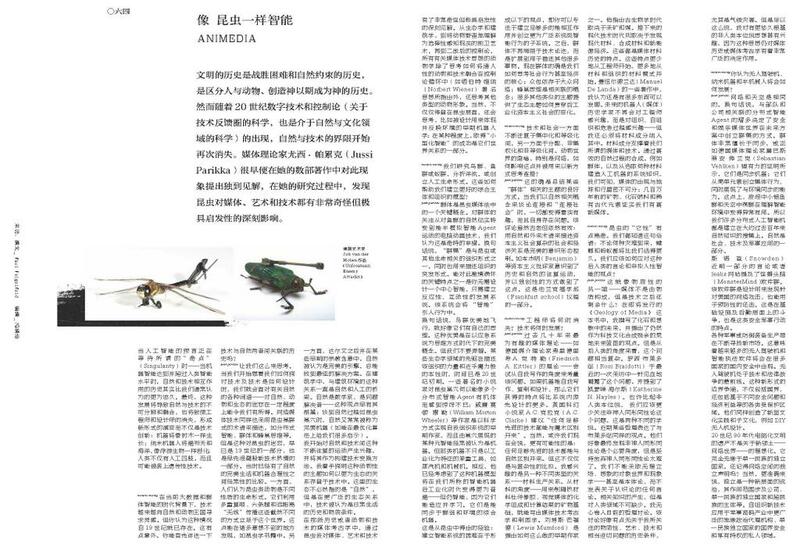 There’s an interview with me in the new issue of Modern Weekly (Shanghai) thanks to Paul Feigelfeld’s apt questions and incisive comments. The chat focuses on insect media, animals and technological culture. We are working on an edited and extended English version too. 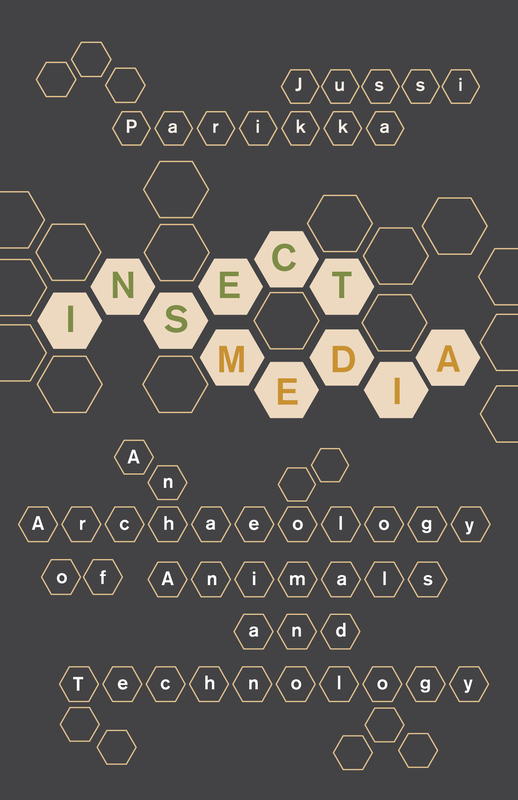 I’ve uploaded the Introduction-chapter of Insect Media online on Academia.edu! More info on the book, as before, on University of Minnesota Press website. If you want a quick glimpse into the arguments of the book, some reviews online include Jacob Gaboury’s in Rhizome and Jennifer Gabrys’ in Mute. A short blog post on “What is Insect Media?” gives a condensed glimpse into some of the themes. For a more popular take, see what Wired wrote about the book.